Welcome! These pages were written for those researching their Jewish ancestry in the town of Korczyna. We have included whatever information we have collected about the town including its pronounciation: ko-cin'(cheen)-a! The main town in the area is Krosno; there is much more information available about this area (which includes nearby Jasienica, Dormaradz, Brzozow and Jaslo), on the Krosno area page. Korczyna is today a town in southern Poland that was once home to many of our Jewish ancestors. Korczyna was in Galicia, an Imperial Province of Austria Hungary from 1776 to 1919, then was returned to a re-created Poland at the end of World War I. Korczyna is located at latitude 49° 43´ longitude 21° 49´, about 3miles NorthEast of Krosno, 43 miles west of Przemysl, and 178 miles south,southeast of Warsaw. Note the map on the right. I hope you will find all this interesting and helpful. Please contact me if you have photos or information to add, or any questions. As with any genealogical research, this is an evolving project. Page created October 2000; updated May 2014. Copyright © 2000. JewishGen's Korczyna Page-- maps and town history and links to nearby towns, researchers, yizkor books and more!! A great MAP site with detailed maps of every town in the entire area (from a Lemko web site); when you get there, just click on the little square with Krosno in it. The CemeteryThe Dartmouth site and the Foundation site use different definitions of the gravestone locations. I suggest you browse them both, starting with the list on the Foundation site, which you can query, although only a few stones have surnames. The Dartmouth site has excellent photographs and English translations of the stones (just click on the photograph). Only a few stones have surnames, but you can query the Foundation site. The Korczyna Yizkor Book Completely translated by Bill Leibner and available on JewishGen! Please note: This site exists because of your Jewish Gen-erosity. Your tax deductible donation to JewishGen makes these services possible. We spent a great deal of time organizing this information so that your genealogical search might be more rewarding....and you can reward us -- just click on Jewish Gen-erosity. The Aliyah passports are available on the Jewish Records Indexing--Project (JRI-P). Go to https://www.JewishGen.org/jri-pl/jriplweb.htm and search for the town by name. Although Korczyna town records are not available here, there are over 300 records of folks from the town who lived elsewhere. 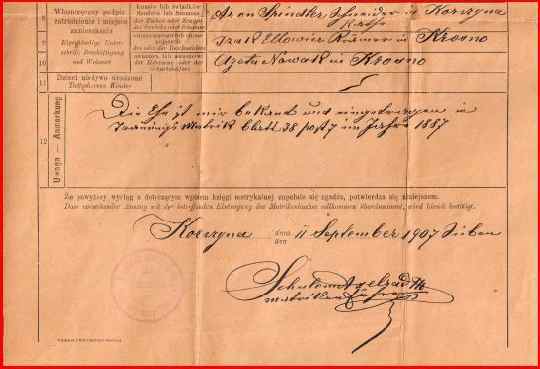 The following is a birth certificate from Korczyna dated 1907, for the birth in 1890 of Joseph Beer SPINDLER. To interpret the Polish and German Headings, go to JRI-P and download their file of formats at https://www.JewishGen.org/jri-pl/galicia/GalicianVitalRecords_Titles_Nov2002.pdf. You can contact the SPINDLER researcher by clicking here. Jewish Records Indexing - Poland has indexes to many Galician Vital Records. Although many western Galician towns are not (yet) represented, you will find some records of folks from Korczyna and folks born in Korczyna who lived elsewhere. The Jewish Records Indexing – Poland data for Korczyna Deaths 1877-1895 is searchable in the online database. For further information on the data available for this town, please contact Eden Joachim, esjoachim@optonline.net, Korczyna Town Leader. donated by Ruben Weiser of Buenos Aires. 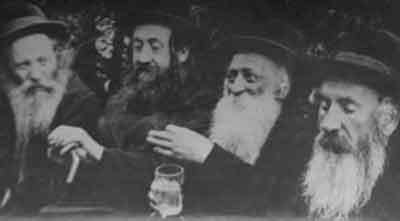 The photographs were taken by Ruben Weiser......Ruben's great grandfather, Itzjak Elovitz (a descendent of Rabbi Elimelej of Lizensjk) was born in Zborov, Slovakia, and moved early in life to Krosno. 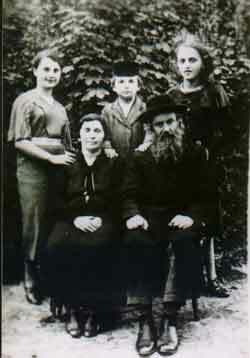 There Itzjak married Hana Pessel, who was born in Korczyna. For more information, please contact Ruben Weiser in Argentina. In February of 2004, I received a request from Tomasz for scanned photographs from our Yizkor book, because, as he said: "it was proper to bring closer [to] the occupants this fragment of history". Tomacz wanted to add the scanned photographs to his site. For more information, please contact Tomasz Okoniewski in Poland. Although it is 70 years since i spent some of my time in Domaradz, I cannot forget the good time i had there. 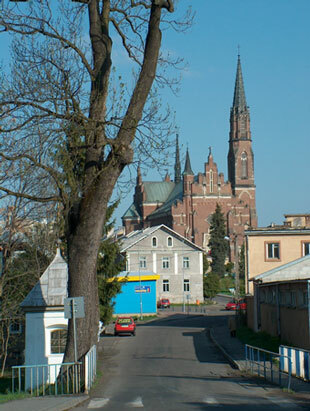 I lived with my family in Korczyna. Every year for the Passover holidays the whole family packed up and hired a horse and wagon with a man to take us to Domaradz. We could not wait to get there to see our grandparents, uncles, aunts and cousins. I remember the beautiful landscape, the river, woods and hills surrounding the area. For us children it was an especially exciting trip. The first thing when we arrived we ran to the stable to see the cow and goat. Then we played in the back of the house on the wagons. This was a big thrill. I still remember the smell of the stable, which seemed to me like a good perfume. Our grandparets did not know what to do with us out of happiness. They were elated. They were poor people struggling for a living; they worked hard just to feed themselves. How can you forget this? They were very proud people. What a hobbible death. My grandfather was shot for protecting his children from separating from him. Then they shot each one of them with a pistol (per witnesses). Why? They did not bother anybody. They were honest people. The murderous german S.S. How could they live with themselves. 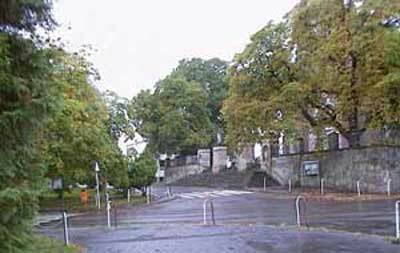 They were shot on the cemetery in Jasienice Rosielne and are buried there. Over 1000 people were shot at that time. I was informed that the city has put up a marker plate on that spot. Not only the Jews from Domaradz died there, also Jews from the surrounding villages. My cousin Froim was a witness to this horrible tragedy. For the last 58 years i live with my family in the U.S.A. Life here is good. But i cannot foget the beautiful time i spent in Domaradz. My memory of the family is alwys in front of my eyes. 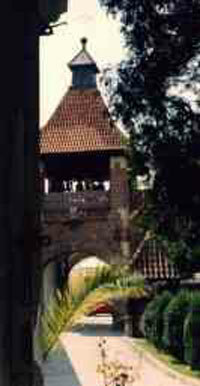 In 1984 we visited Domaradz but I could not find any trace of the place they lived. Do you have roots in Korczyna or the surrounding area??? Would you like to connect with others researching the same community? Click the button to search the JewishGen Family Finder database. If you are not already registerred with JewishGen, please do so. It's free and painless! and that way you can add the surnames you are researching to the list, so that others can find you!! Surnames: RAFF / SICHERMAN/ MEISNER/ KATZ / FISCH / GRUNSPANN / GREENSPAN / EICHNER / ZWICK / HILLER from Zmigrod Nowy / Bukowsko / Dukla / Dynow / Korczyna, Poland. Great-Great Grandparents: Aron and Itte KATZ, who were day laborers in Korczyna. They had at least one child. Her name was Chaje (Chaya) Sara and she was my great-grandmother. For More Information, email Debbie Raff, Calif.
Dawid GOLDMAN married Minnie MARGOLES ( born circa. 1861). They had 6 children, born in Korczyna: Izzy, Jack, Hilda, Anna Harry and Louis.